Leo's Pad Enrichment Program and Learner Mosaic from Kidaptive on Vimeo. 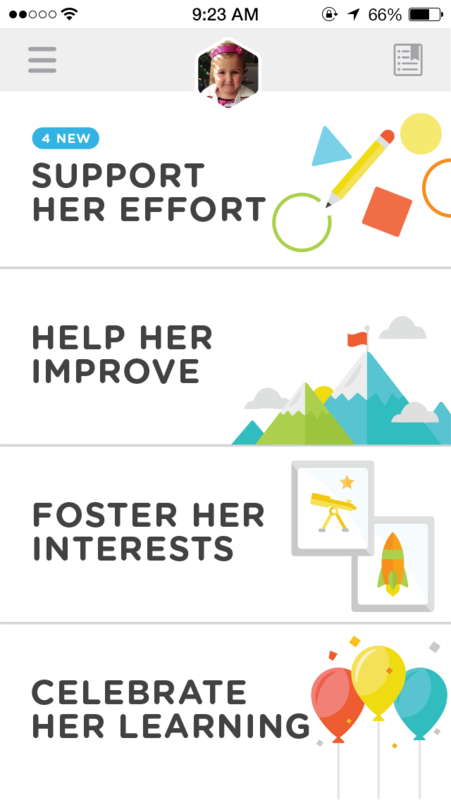 Learner Mosaic provides real-time data into child’s learning progress and customized, research-based tips and activity suggestions to help them thrive. MOUNTAIN VIEW, Calif., Dec. 2, 2014 /PRNewswire/ — Kidaptive, an early-education and technology company, today announced the launch of Learner Mosaic, a free parenting app for iPhone and iPod touch, available for download on the App Store. Although it is a standalone app, Learner Mosaic works best when paired with Kidaptive’s award-winning iPad app for kids, Leo’s Pad Enrichment Program. When parents and preschoolers use the apps together, the preschooler’s game-play data from Leo’s Pad is combined with parent observations in Learner Mosaic, which results in the most accurate assessment of each child’s strengths, struggles, and passions. 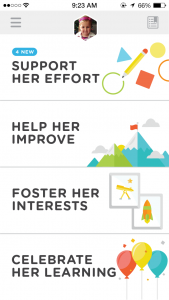 This assessment then powers a personalized set of activity recommendations in Learner Mosaic that parents can incorporate into their everyday interactions with their child to support learning. 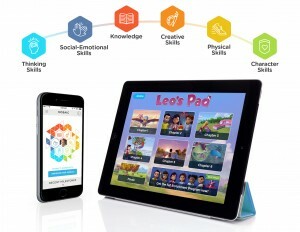 Learner Mosaic, designed in partnership with frogVentures™, the investment arm of global product strategy and design firm frog, provides parents with insight into each child’s strengths, struggles, and passions across more than 75 skill areas. Over time, as the child acquires new skills, the app tracks milestones and builds a unique mosaic of their learning development. This learning map shows progress across key areas of growth such as impulse control, counting principles, turn taking, problem solving, growth mindset, and more. All the tips and activity suggestions in Learner Mosaic are research-based and designed to be easy to understand and easy to incorporate into everyday interactions. Additionally, Learner Mosaic captures everyday learning by asking parents simple questions about their child to create a more holistic picture of the learner. Learner Mosaic harnesses the power of online data from games and presents it to parents in an easy-to-use way that enables them to enrich and reinforce learning in their offline time together with their child. Leo’s Pad Enrichment Program is an award-winning, animated, adaptive-learning series in which preschoolers will join a young Leonardo da Vinci and his friends on big adventures filled with exciting games woven into the stories. The games in Leo’s Pad address over 25 skills essential to early learning and adjust to each child’s skill level as they play, so content is always highly relevant and engaging. Previously called “Leo’s Pad: Preschool Kids Learning Series”, Leo’s Pad Enrichment Program has been updated to integrate with Learner Mosaic. The update also includes a finale with an exclusive song by acclaimed children’s musician Laurie Berkner, several game enhancements, an updated Family Account system, and support for In-App Purchases. Leo’s Pad Enrichment Program is universally loved by parents, preschoolers, and academics with a 4.5-star rating based on more than 1300 reviews, and the Mom’s Choice and Academics’ Choice “Smart Media” awards. Learner Mosaic is available for free on the App Store for iPhone and iPod touch or at www.AppStore.com. Leo’s Pad Enrichment Program is available for free on the App Store for iPad or at www.AppStore.com. The first chapter is free, and parents can buy the full program (six chapters plus the finale) for $24.99 or pay $5.99for subsequent chapters per chapter and $1.99 for the finale.